These bohemian inspired chandelier earrings are so elegant. 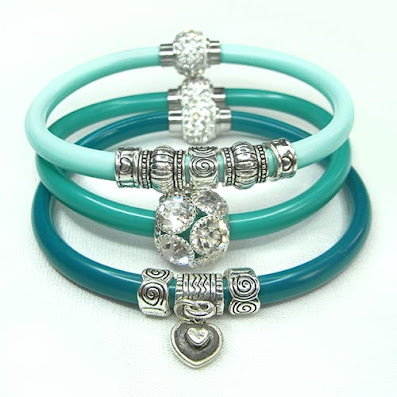 With ice-coloured crystals dangling gracefully from the bottom of the loops, they sparkle as they move creating an air of elegance and sophistication. 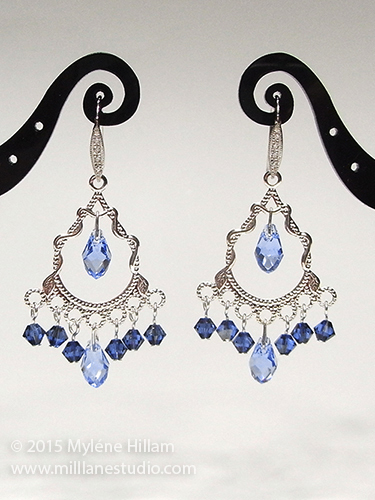 The delicate look is achieved by combining cool coloured crystals with a lightweight silver filigree chandelier fitting. 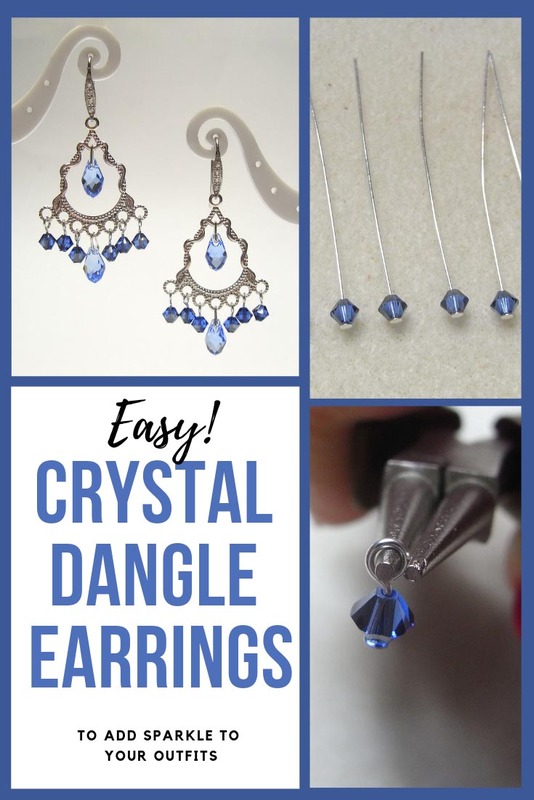 Add a sparkly cubic zirconia-set earring wire to make them even more upmarket and they'll look like they were handcrafted by a master jeweller! 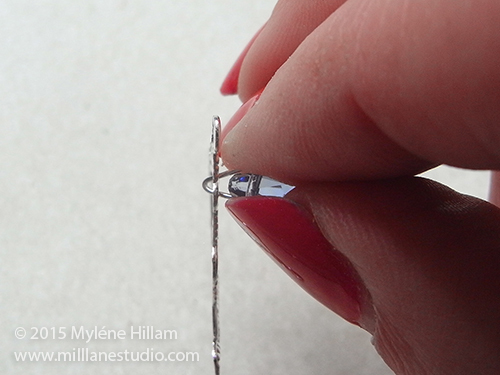 Set aside half the components and work on one earring at a time. 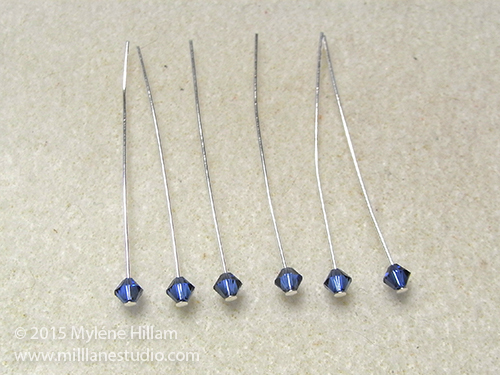 String a bicone on each of the 6 head pins. Bend each one just above the crystal at a 90° angle. 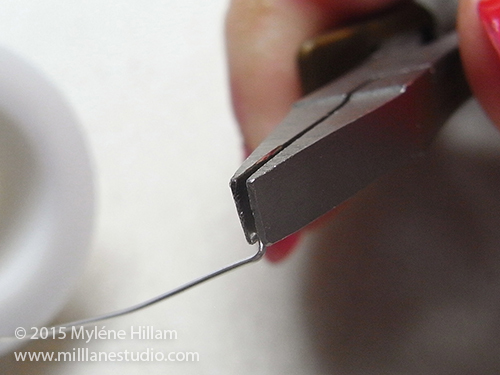 Trim the head pin to approximately 10mm (3/8"). 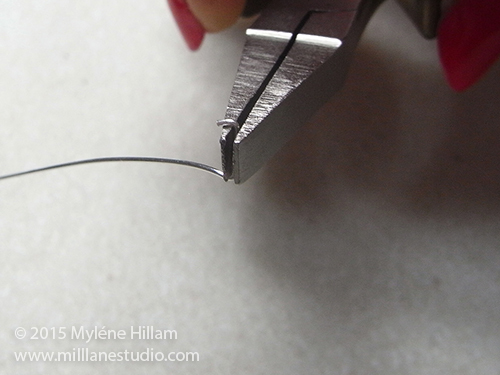 Create a triangle jump ring: Place the end of the wire (approximately 2mm (1/16") in the jaws of the flat nose pliers and bend it at a 60° angle to create a short prong. 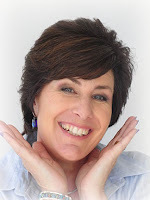 Place the pliers on the other side of the bend you just made and bend the wire on the other side of the pliers at a 60° angle. This will be the first side of the triangle. 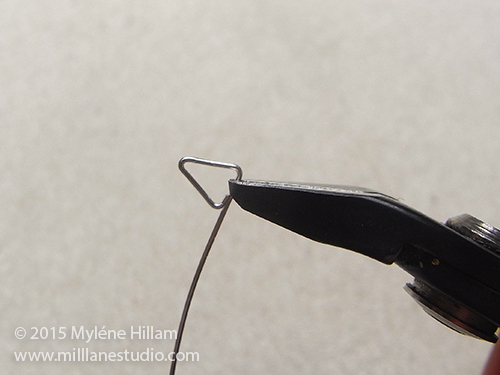 Place the pliers in the bend of the last angle formed and create another 60° angle. This forms the second side of the triangle. 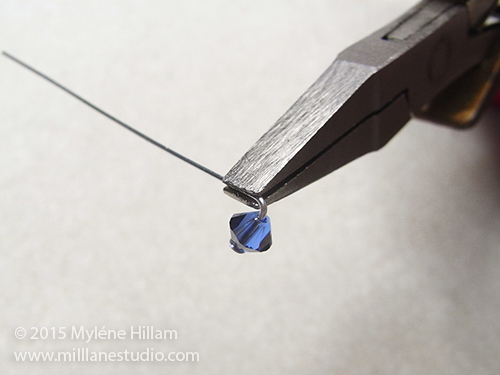 Trim the wire to approximately 2mm (1/16"). 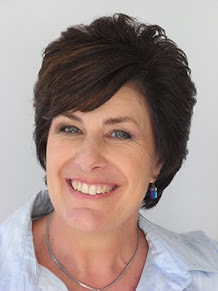 This will be the second prong. 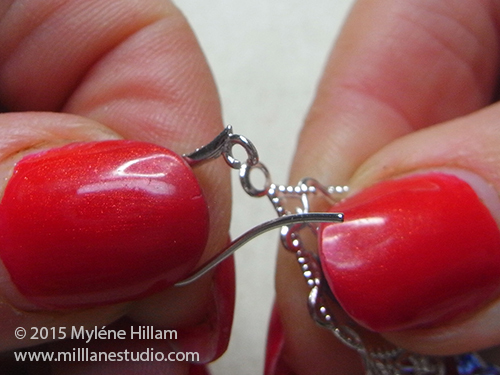 Make two of these triangle components and set one aside for the second earring. 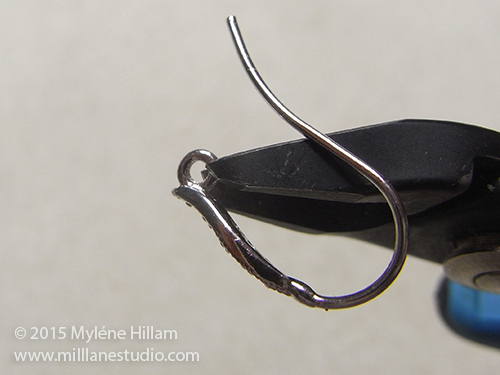 Hook the triangle jump ring through the top loop of the chandelier component. 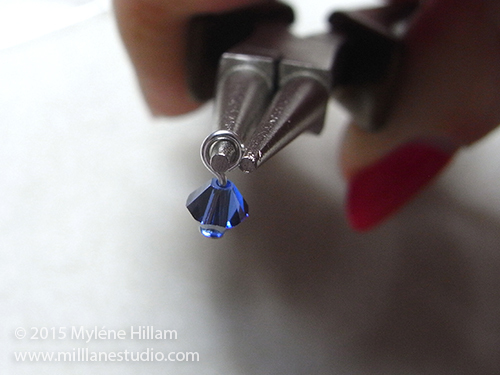 Position one of the prongs into the briolette and then insert the other prong into the other side of the crystal. 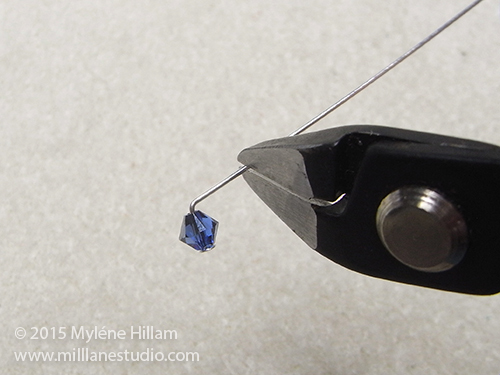 Gently squeeze the two sides together until the crystal is secured. 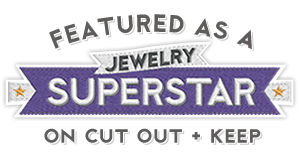 Attach the second triangle jump ring and briolette to the middle loop along the bottom of the chandelier fitting in the same way. Open the loops of the bicones and attach them to the remaining loops. 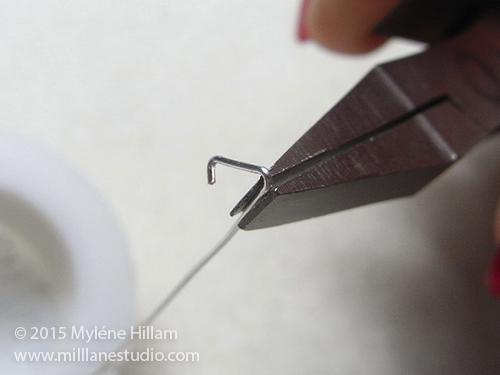 If the loop of your earring wire loop is soldered like mine, use the flush cutters to cut the loop near the top. 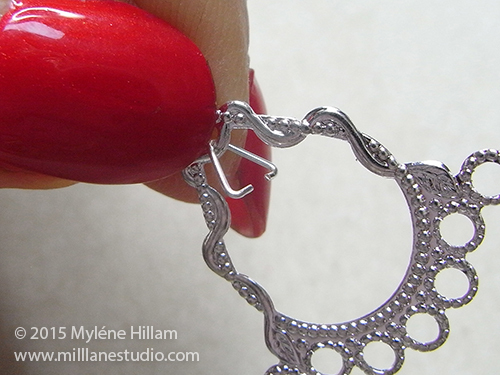 Gently open the loop sideways and hook on the chandelier fitting. Close the loop again. 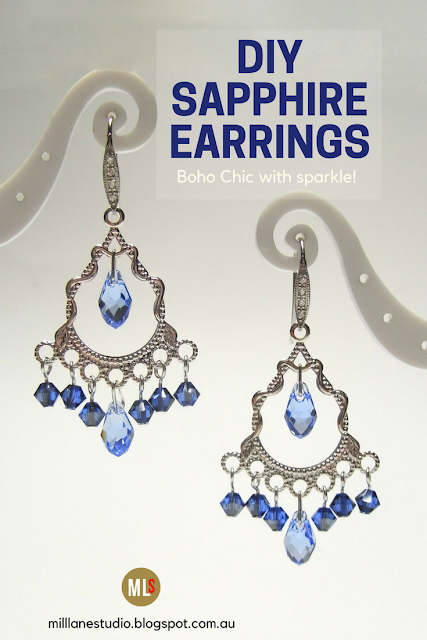 Now make a second earring to match and you're set to sparkle the night away.